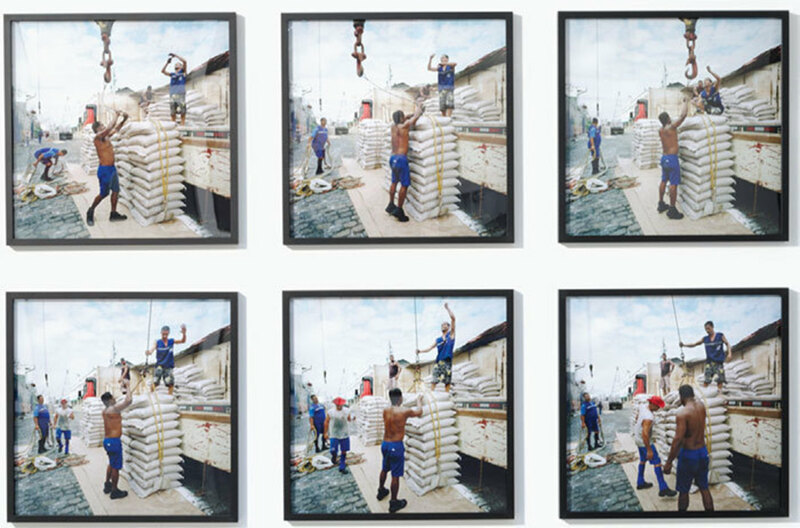 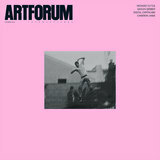 Allan Sekula, Sugar Gang 1–6, 2010, six C-prints, each 31 1/2 × 31 1/2". 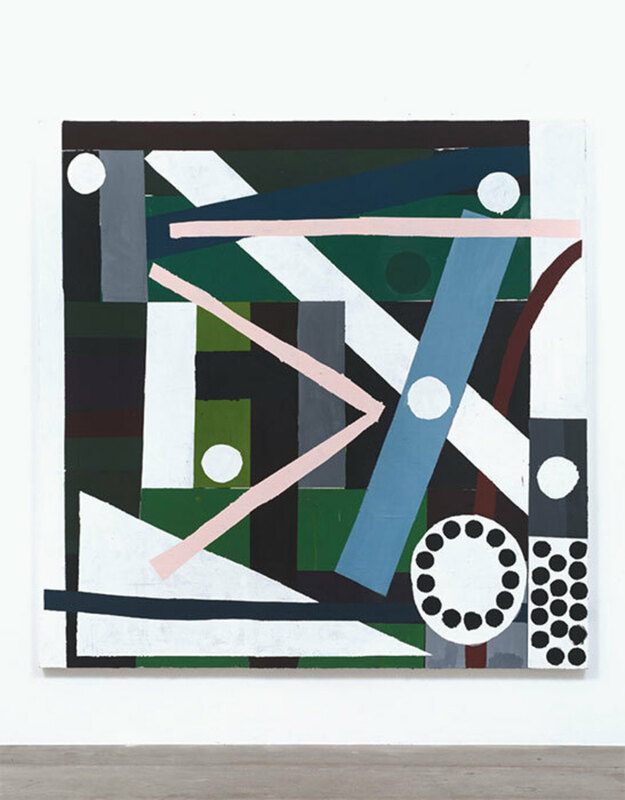 Nick Aguayo, Untitled, 2014, acrylic and marble dust on canvas, 96 × 96". 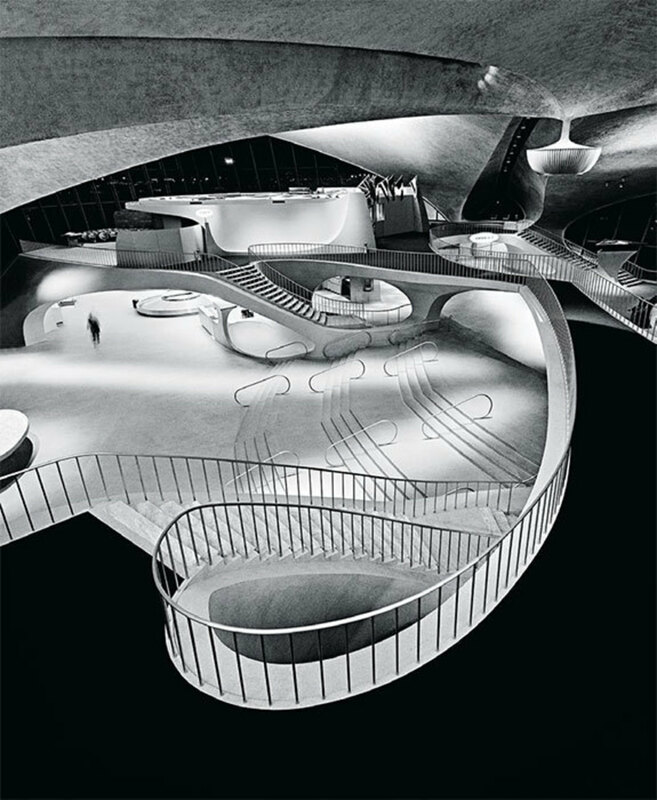 Balthazar Korab, Eero Saarinen, TWA Flight Center New York, NY (Interior view from mezzanine level at night), 1964, gelatin silver print, 14 × 11". 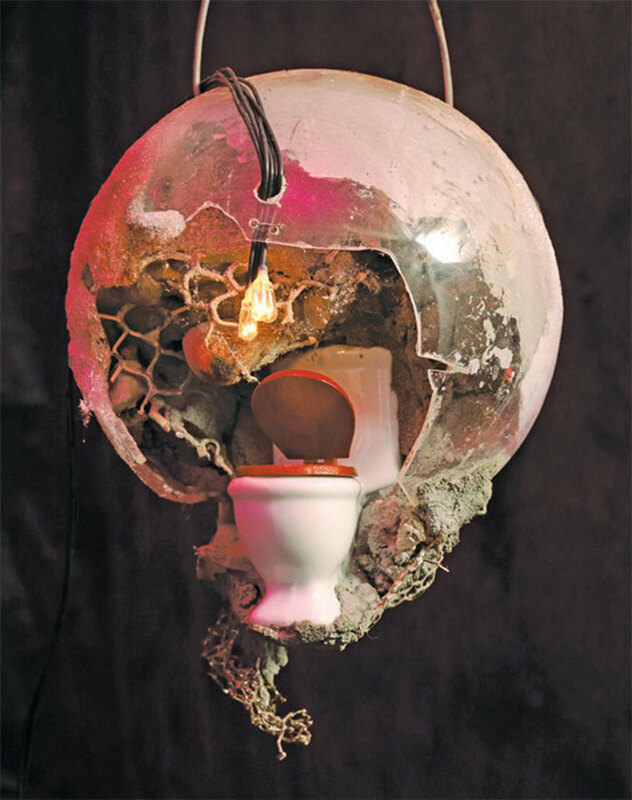 Mathis Altmann, Common Pressure, 2014, concrete, chicken and pork bones, metal, plastic, LED light, wire, miniature, paper, 7 × 6 × 6". 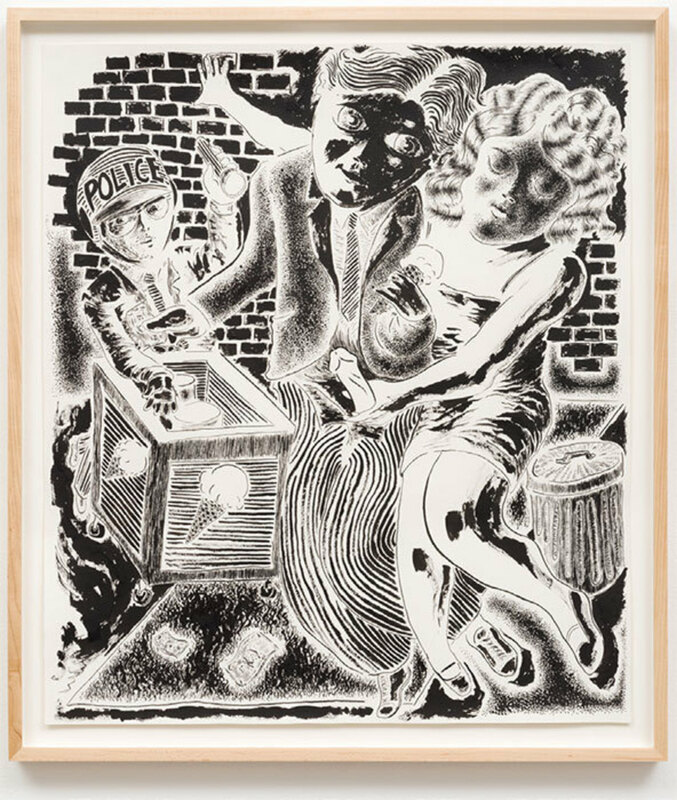 Josh Mannis, What About This Love?, 2014, ink on paper, 25 × 22 1/2".